Obstructive sleep apnoea (OSA) is characterised by repetitive collapse of the upper airway resulting in snoring, intermittent oxygen desaturations, sleep arousal, and excessive daytime sleepiness (Young et al. 1993). The severity of OSA is described by the apnoea hyponoea index (AHI). The community prevalence of at least moderate OSA (AHI >15) in reported to be approximately 15% in men and 5% in women (Peppard et al. 2013). The prevalence of OSA is rising, due to the increasing rates of obesity. The true prevalence of OSA in asthma patients has been poorly studied. In a study of 52 patients with asthma and 26 matched controls, at least moderate OSA was found in 88% of patients with severe asthma and 58% of patients with moderate asthma, compared with 31% of controls (Julien et al. 2009). Yigla et al performed sleep studies on 22 patients with severe asthma and reported at least moderate OSA in 51% (Yigla et al. 2003). Questionnaire data from a severe asthma cohort demonstrated that 26% of patients with severe asthma were at high risk of OSA, compared with 3% of controls (Teodorescu et al. 2015). Community based epidemiological studies have demonstrated that people with asthma are at increased risk of subsequently developing obstructive sleep apnoea (Shen et al. 2015, Teodorescu et al. 2015). OSA may lead to poor asthma control, increased healthcare utilisation, increased beta-agonist use and lower quality of life (Teodorescu et al. 2015, Tay et al. 2016). However, it should be noted that a smaller study of patients who underwent a sleep study, there was no association between OSA and poor asthma control (Julien et al. 2009). The interaction between OSA and poor asthma control is not understood. Possible mechanisms include neutrophilic airway inflammation (Teodorescu et al. 2015) and increased vagal tone contributing to airway hyper-responsiveness (Guilleminault et al. 1988). 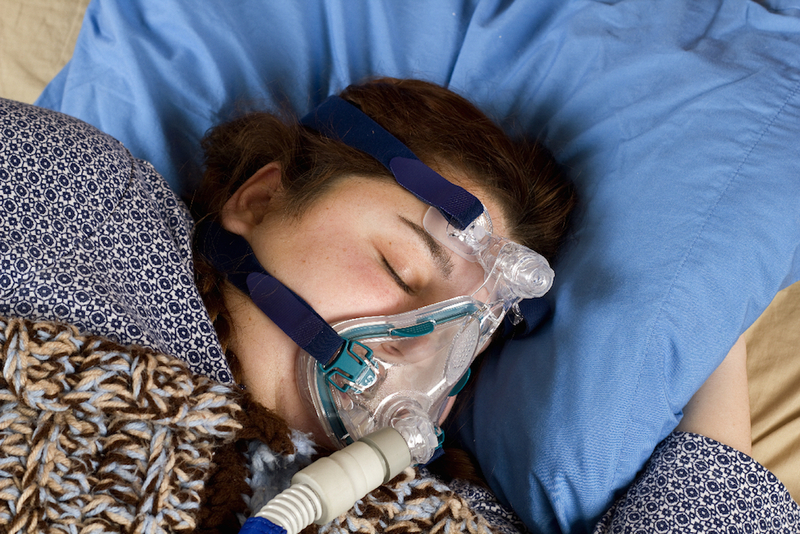 There is some weak evidence to suggest that CPAP use could improve asthma control. Treatment of patients with severe OSA and co-existent asthma for 6 weeks, resulted in significant improvements in asthma related quality of life (Lafond et al. 2007). In a small randomised controlled trial comparing therapeutic CPAP to sham-CPAP, 7 nights of therapeutic CPAP was also found to significantly reduce bronchial hyper-responsiveness (Busk et al. 2013).